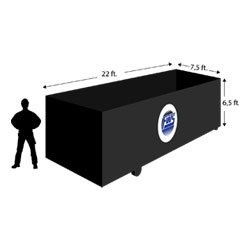 Fair Waste Services in Clare, Chase, Harrison, Cadillac, Reed City & Greenville, MI provides residential, commercial, and industrial roll-off containers for your waste disposal needs. With various sizes to choose from and budget-friendly prices, our dumpsters guarantee to provide you with the garbage disposal solutions that fit your unique requirements. 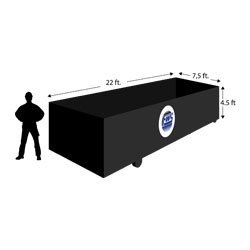 Count on us to give you the roll-off dumpster you need for your household junk removal, commercial remodeling, or demolition project. We provide short- and long-term container service. *Call if you have any item in question. This container is perfect for small cleanup and remodeling projects in your home or commercial space. It is designed to help maintain cleanliness and keep your space organized efficiently. Contact our team today! We will gladly assist you with your cleanup and waste disposal needs. 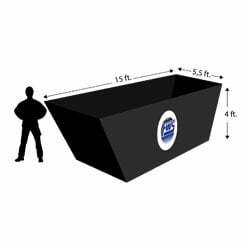 This container can handle any small to medium sized cleanup projects. From remodeling to renovation, it can efficiently keep your projects clean, organized, and contained. Contact our team today! We will gladly assist you with your cleanup and waste disposal needs. This container is offered to our contractor customers. Please contact our team to speak with a salesmen for specifics! 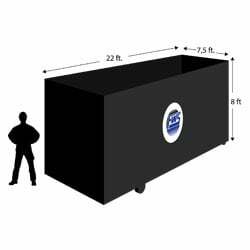 This container can accommodate medium-sized renovation projects and home cleanup projects. We recommend this to homeowners who are in need of help keeping their property clean and tidy. Contact our team today! We will gladly assist you with your cleanup and waste disposal needs. This container was made to handle large renovation and construction projects. 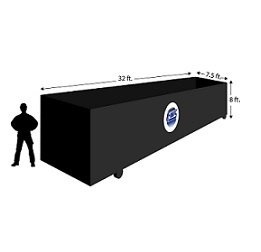 No matter your scrap materials, 40-cubic yard roll-off container is the solution for you. Contact our team today! We will gladly assist you with your cleanup and waste disposal needs. Worried about clearing your construction site or industrial facility? For hassle-free disposal of non-hazardous solid waste, call Fair Waste Services. We have commercial and industrial roll-off containers that you can use at affordable prices. In addition, we also provide quotations for metal recycling. Call us today to ask about our commercial roll-off containers or to request a quote.